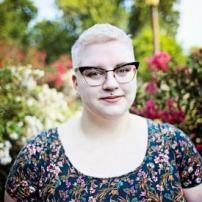 Richelle Perry is a young freelance writer, theatre weird girl, gin lover, lesbian, and cat lady. Her writing focuses on the theatre world; cultural analysis and critique; food and drink; and women’s and LGBT issues. Richelle daylights as an American Sign Language student while also working in the theatre industry. You can find her online at her website, radcatlady.com.